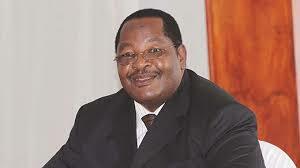 HOME Affairs minister Obert Mpofu has declined to testify in a case in which Ntabazinduna chief, Felix Nhlanhlayemangwe Ndiweni, and 23 villagers are accused of destroying a villager’s fence and kraal. Mpofu was expected to testify in the case in which the chief and some of his subjects are accused of destroying the complainant’s property. Chief Ndiweni allegedly ordered villager Fatti Mbele to surrender his wife to her family following adultery claims but the latter defied the order.